A black leather helmet with a gilded badge. 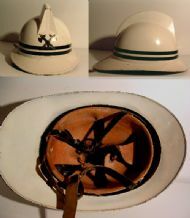 Make and model unknown. 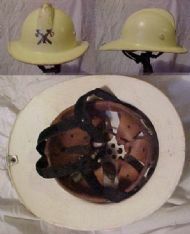 A yellow photo phosphorescent poly carbonate helmet with a self-adhesive foil badge. 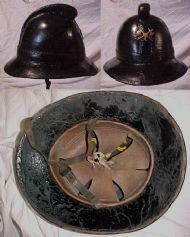 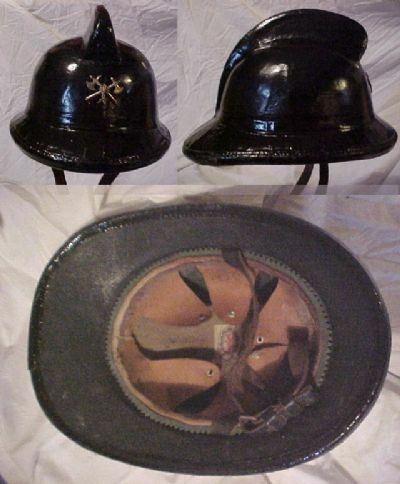 Black painted fabric covered cork helmet with brass (originally gilt) badge. Originaly black but repainted white around 1974, it is interesting in that it has a polystyrene scull cap above the normal head suspension, presumably for insulation. 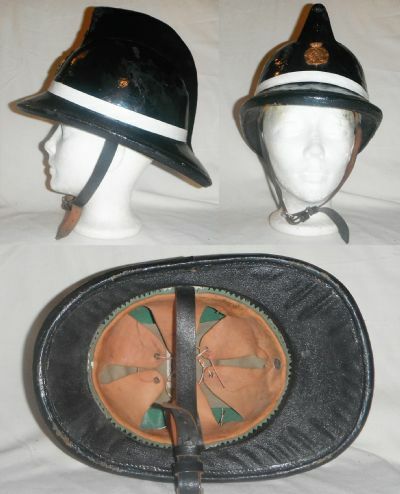 Black laquered, canvas covered, cork helmet used by the Belgium Civil Protection Department.